Since June 11, 2018, Evgenia Putraym, who previously held the position of Chief Financial Officer, has been appointed General Director of BF Tanker LLC. Evgenia Putraym received an economic education at the St. Petersburg State Maritime Technical University and also graduated from the Law Faculty of the Admiral Makarov State University of Sea and River Fleet; has significant work experience in shipping companies and took part in the formation of the company establishing herself as an effective leader. Dmitry Olersky is leaving his post due to the expiration of his contract. Denis Neuimin was appointed to the position of Deputy General Director for Chartering of the Fleet. He will be responsible for organizing the effective commercial operation of the company’s fleet and optimizing the freight schemes. Denis Neuimin graduated from the Faculty of International Transport Management of the Admiral Makarov State University of Sea and River Fleet and has extensive experience in the practical aspects of the field of maritime navigation. 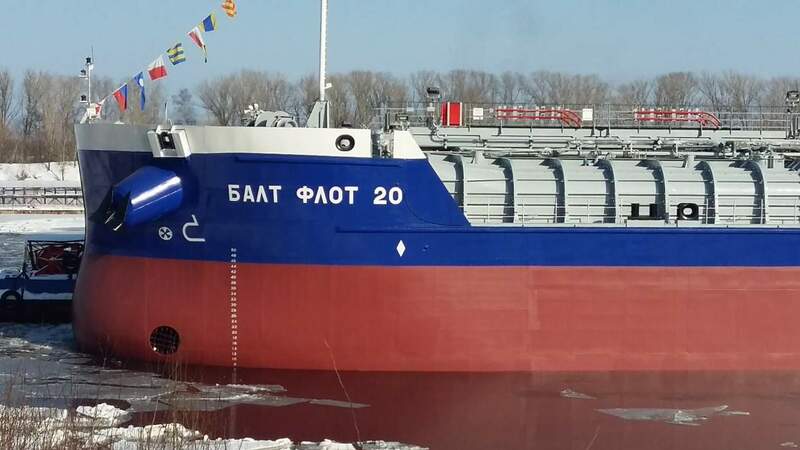 Krasnoye sormovo shipyard to launche chemical carrier of a new design rst-27m “balt flot 20”, on 22 february, 2018. 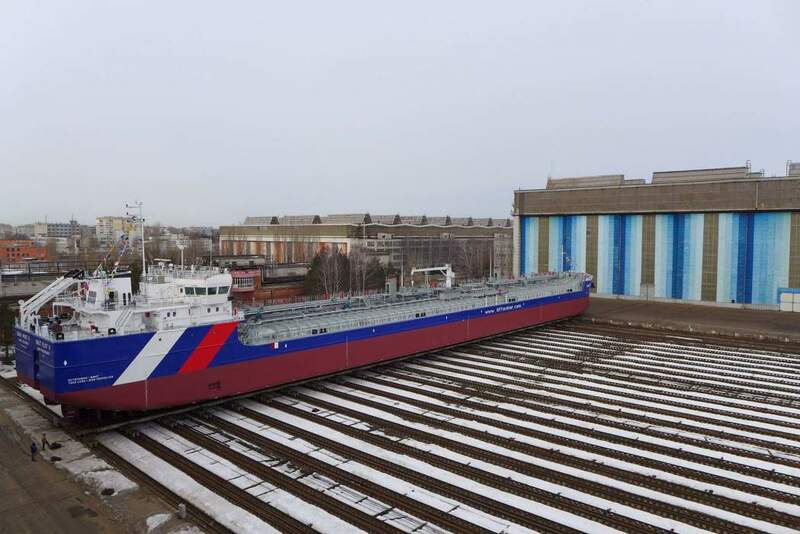 The ceremony of launching a chemical carrier of Project RST27M for the company “BF Tanker” will take place at the Krasnoye Sormovo shipyard on 22 February 2018. The chemical carriers of Project RST27M have enhanced marine functionality. The vessels of this Project have an increased capacity of 800 tons (as compared with Project RST27) and are able to transport crude oil, oil products, edible oils and petrochemical products with simultaneous delivery of three types of cargo. 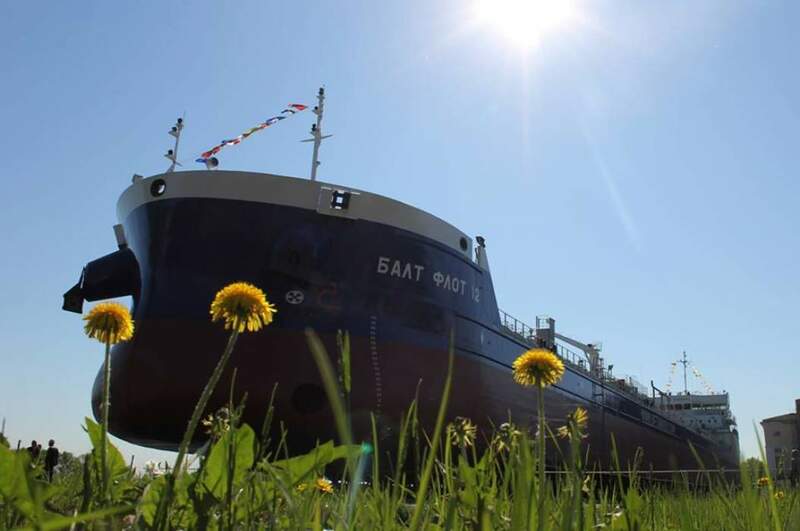 In designing the tanker the special requirements of Russian and International oil companies, additional environmental restrictions of the Russian Maritime Register of Shipping “ECO PROJECT” (ECO-S) have been taken into account. 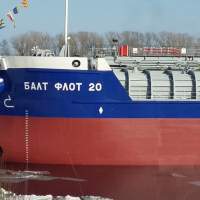 Krasnoye sormovo shipyard to launche chemical carrier of a new design rst-27m “balt flot 19”, on 22 december, 2017. 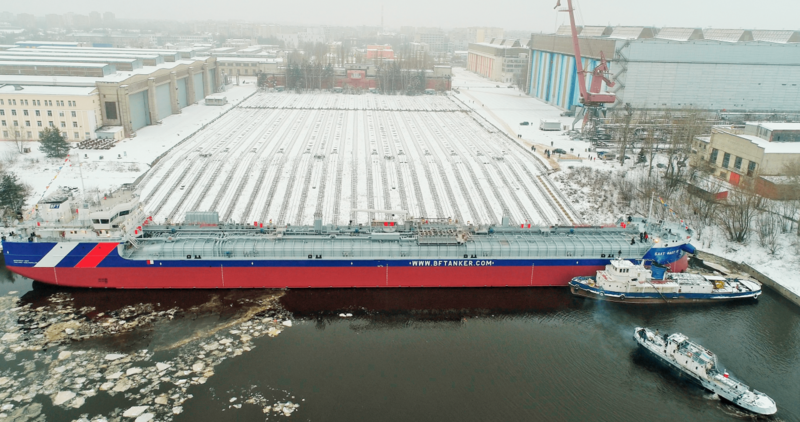 The ceremony of launching a chemical carrier of Project RST27M for the company “BF Tanker” will take place at the Krasnoye Sormovo shipyard on 22 December 2017. The chemical carriers of Project RST27M have enhanced marine functionality. The vessels of this Project have an increased capacity of800 tons (as compared with Project RST27) and are able to transport crude oil, oil products, edible oils and petrochemical products with simultaneous delivery of three types of cargo. 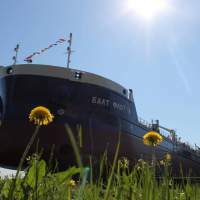 In designing the tanker the special requirements of Russian and International oil companies, additional environmental restrictions of the Russian MaritimeRegister of Shipping “ECO PROJECT” (ECO-S) have been taken into account. 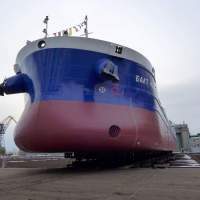 All tankers built at the Krasnoye Sormovo shipyard have proven to be reliable and modern vessels that meet the stringent requirements of international standards for the transport of various types of cargo. Currently, “BF Tanker” is in dialogue with the Krasnoye Sormovo shipyardabout the continuation of construction of a series of RST27M vessels. We highlyappreciate the experience and professionalism of Sormovo shipbuilders. Theexperience of cooperation with the shipyard allows us to confidently talk aboutthe consistently high Sormovo quality of construction of ships and the timelyperformance of contractual obligations. 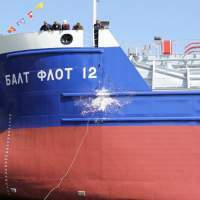 KRASNOYE SORMOVO SHIPYARD CEREMONIOUSLY LAUNCHED A CHEMICAL CARRIER OF A NEW DESIGN RST-27M “BALT FLOT 17” ON THE SEPTEMBER 8, 2017. 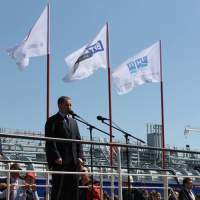 The ceremony of launching a chemical carrier of Project RST27M for the company “BF Tanker” was held at the Krasnoye Sormovo shipyard today,8 September 2017. 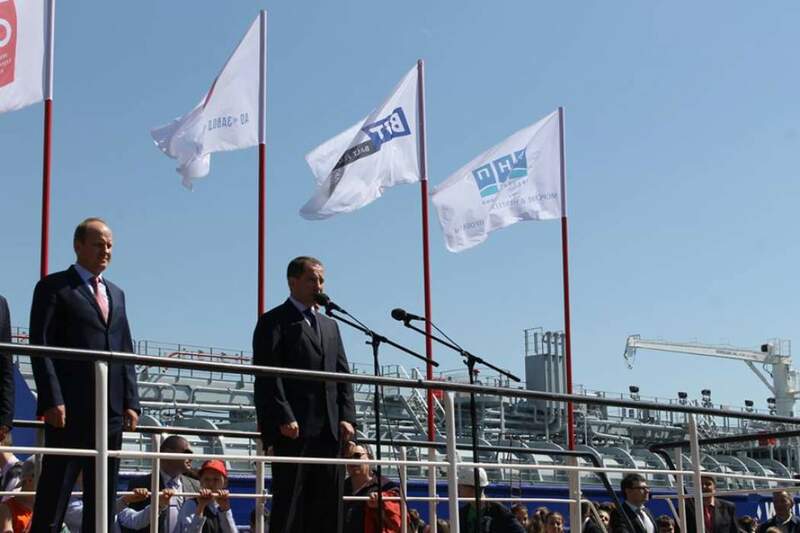 Distinguished guests, managers and employees of all companies that were involved in designing and constructing the tanker, representatives of the customer and residents of the city took part in the ceremony of launching the ship into the water. The godmother of the vessel was Natalia Dunets, the Manager of Marine and River Transport Administration at PJSC “NK Rosneft”. The Company is currently one of the largest ship owners with the newest and most up to date fleet. 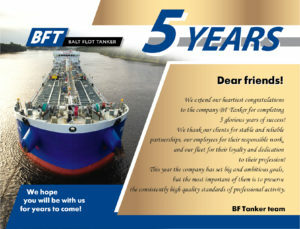 A leasing arrangement allowed the Company to implement a shipbuilding program for the construction of 15 modern ships. 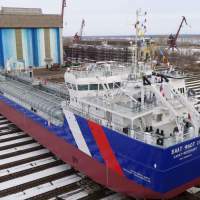 A series of state supported measures for shipbuilding and river and sea navigation stimulated market participants to increase the number of new ships registered under the Russian flag, creating additional employment, and adding to regional and federal budgets. 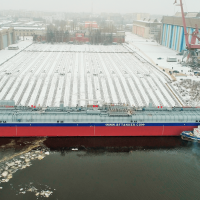 It should be noted that the development of the shipbuilding sector in Russia is a major government priority and this has without doubt assisted the growth of the industry and created new investment opportunities. We are focused on further developing our fleet and continuing our construction plans, using the increased efficiencies inherent in the available leasing programs. 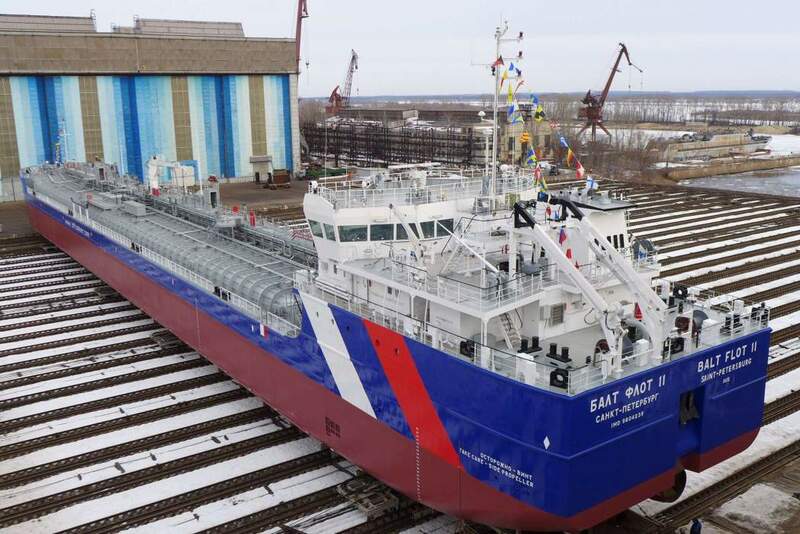 Krasnoye Sormovo shipyard has launched a chemical carrier of a new Project RST-27M “Balt Flot 16” on July 21, 2017. 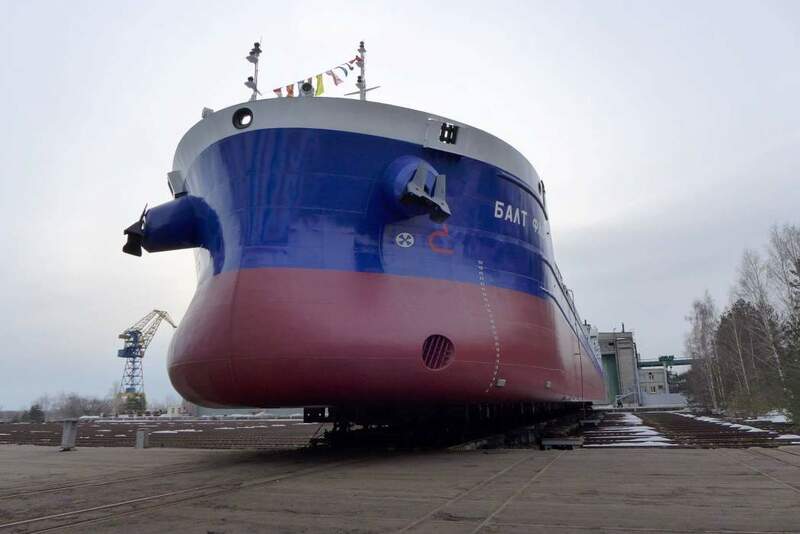 Distinguished guests, managers and employees of all companies that were involved in designing and constructing the tanker, representatives of the customer and residents of the city took part in the ceremony of launching the ship into the water. 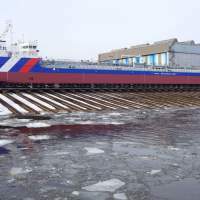 In designing the tanker the special requirements of Russian and world oil companies, additional environmental restrictions of the Russian Maritime Register of Shipping “ECO PROJECT” (ECO-S) have been taken into account. 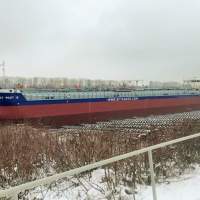 The tankers of Project RST-27M are a new type of vessel for the Company that will allow transportation of an expanded range of goods, working all year round in the ports of Europe, the Baltic, the Mediterranean and the Caspian Seas, as well as in the ports of the Persian Gulf and South-East Asia. The Company owns the most modern and up-to-date fleet in the country, cooperates with the world’s largest commodity traders and cargo owners but is not complacent and plans to continue to increase transportation volumes and expand the fleet. 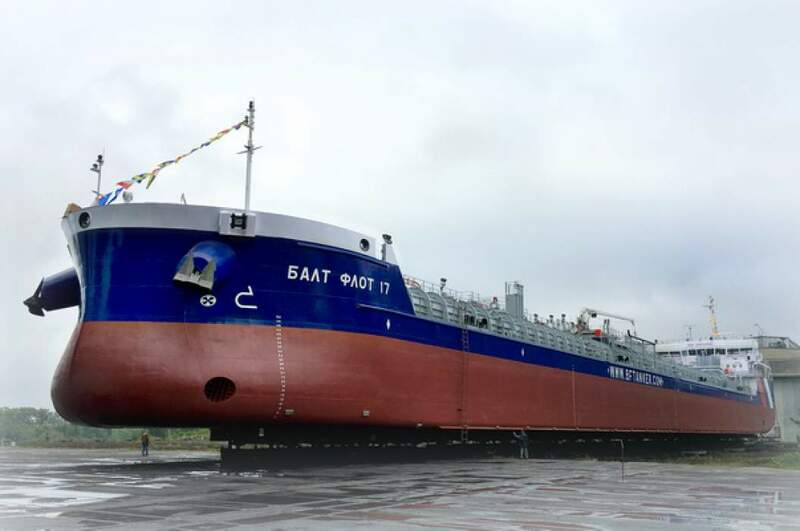 On June 8, 2016, Navashino based Okskaya Shipyard launched the thirteenth tanker of Project RST27, the Balt Blot 14, built for BF Tanker. Contracts for the construction of 7 vessels were signed in September 2015. 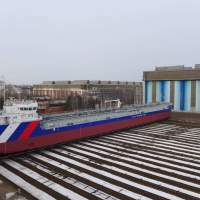 The Oka shipyard will construct 5 vessels including two RST-27 and three RST-54 tankers, Krasnoye Sormovo shipyard will construct two RST-27 tankers. By the end of 2016 the fleet of the Company will consist of 10 vessels. 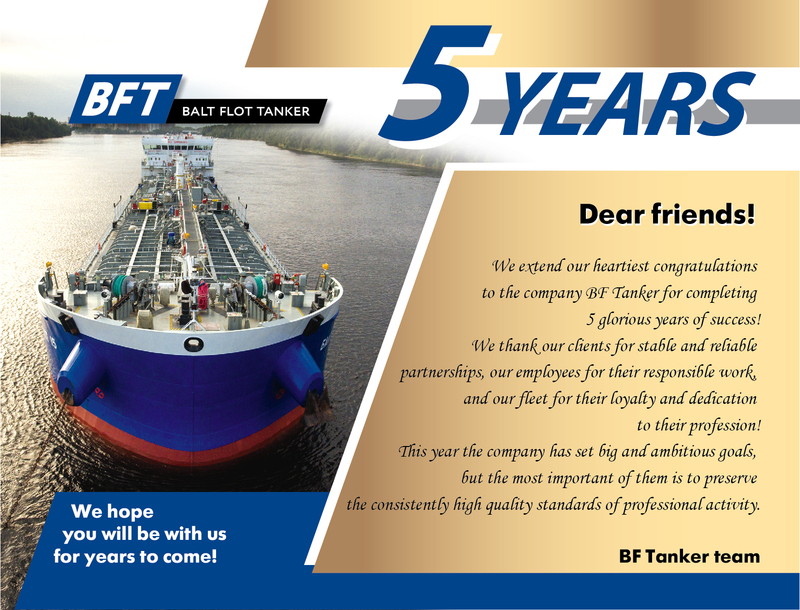 The tanker will be delivered to the customer upon completion of the fitting out and successful sea trials, scheduled for July 2016. 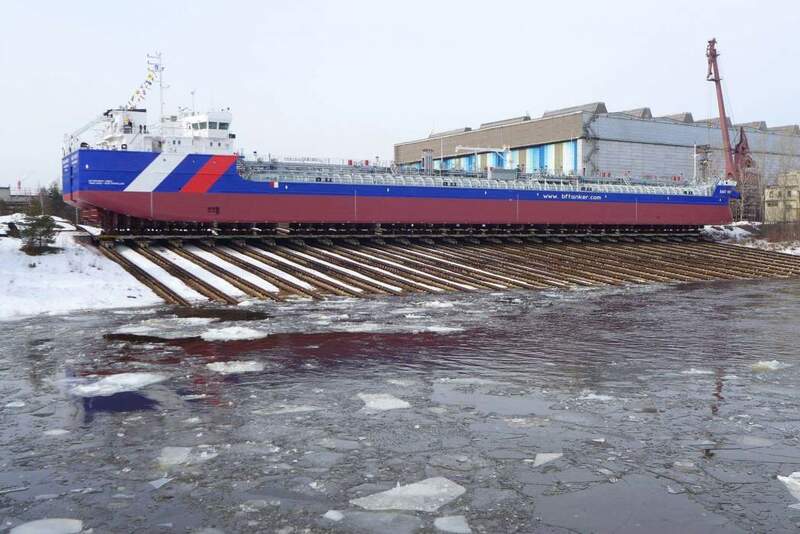 The deadweight of the vessel when operating on the inner waterways of the Russian Federation is 5 378 tons, when operating on the sea 6 980 tons. 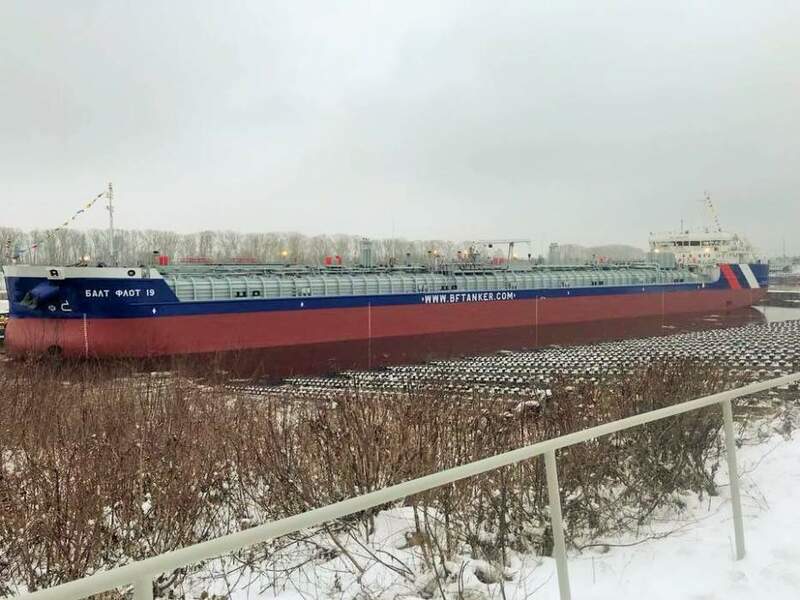 For BF Tanker the RST-27 tanker represents a new type of vessel that will be able to operate throughout the year on both the inner waterways and on the sea. Our company aims to expand the range of transported cargoes including crude oil, and petroleum products together with gasoline. 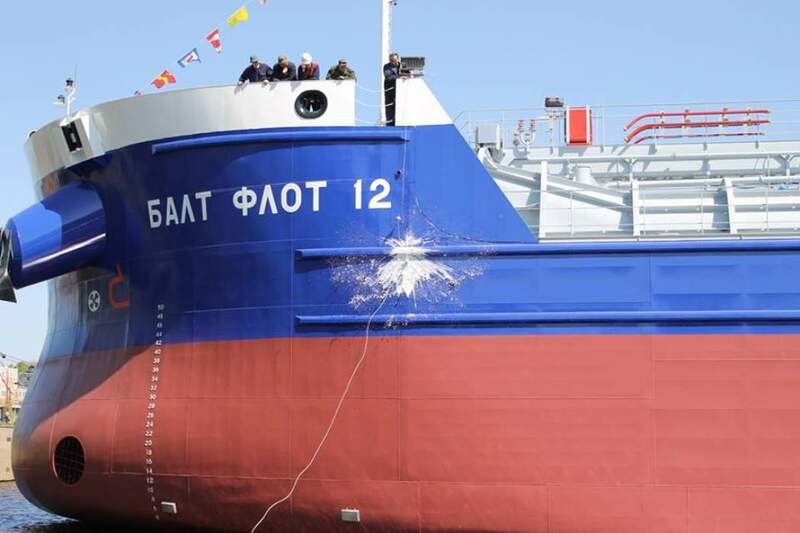 On May11, Krasnoye Sormovo shipyard launched tanker “Balt Flot 12” of Project RST-27 for “BF Tanker”Ltd. The tanker will be delivered to the customer upon completion of the fitting out and successful sea trials, scheduled for June 2016.